ASTANA – The Zhambyl region officials have begun to improve the area’s road infrastructure to better facilitate visitation of the region’s many historical and cultural landmarks. “All these facilities are worthy of attracting tourists from all over the world to our region,” said head of the Golden Caravan tourist centre Albina Veimer. Veimer is helping to initiate the road construction. She has called on local authorities to pay attention to the lack of transport infrastructure connected to the area’s attractions for many years. “For example, Akyr-Tas is protected by the state and is included in the UNESCO World Heritage List. It is one of the most visited tourist sites,” she said. 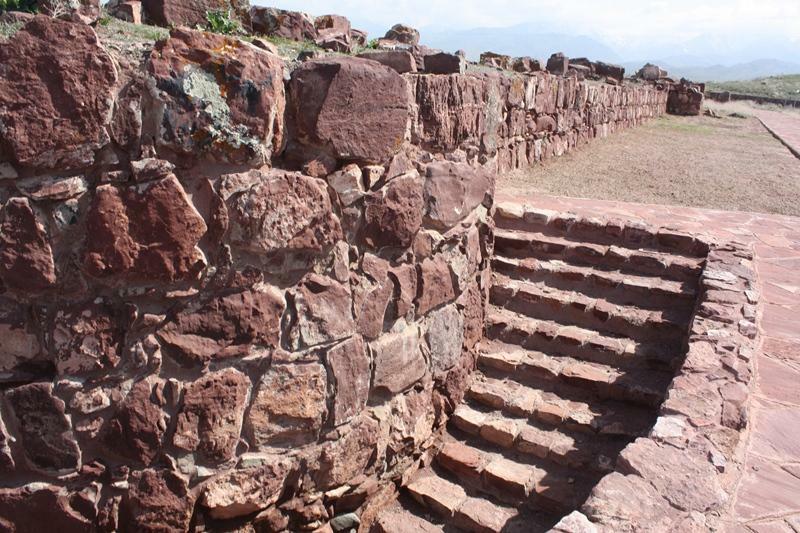 Visitors come here to see the remains of an ancient mysterious structure of red stones, similar to those from which the Egyptian pyramids were built. There is no other such stone architectural structure in the territory of the Central Asian region. Pilgrims from the cities of Kazakhstan and other states come to nourish themselves with the energy of this sacred place. Many foreign scientists come to explore Akyr-Tas as well. The management of the Monuments of Ancient Taraz reserve-museum have made improvements to increase the popularity of this attraction. However, the road to it was in terrible condition. The construction of road to the Zhambyl attractions is managed by the regional administration. The construction of the road to Akyr-Tas was planned in 2012, but the construction was postponed for various reasons. The construction will cost 355.6 million tenge (US$1.1 million) and is expected to be completed in June. The tourist complex is located in the Berikkar mountain canyon with unique fauna and flora and rare specimens of relic plants. The place is protected by the state. The Zhambyl region will become one of the regions to welcome foreign tourists during the EXPO 2017 international exhibition.